A Minnesota non-profit corporation of differently gendered (Transgener) people dedicated to support, advocacy & education. 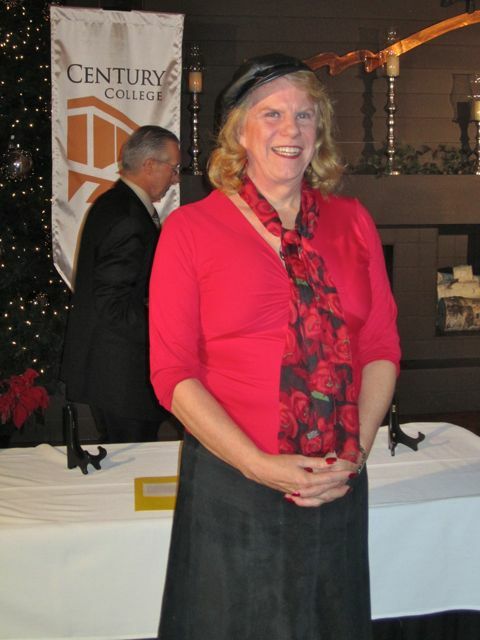 "Debra Davis Transgender Advocacy Award"
After Debra Davis' presentation at Northern Michigan University, NMU OUTlook won the "Diversity Program of the Year" award at NMU's leadership banquet. 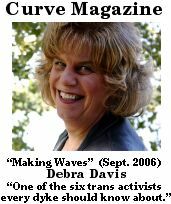 Podcasts of Debra Davis - including clips from presentations, workshops, trainings and films about her life. 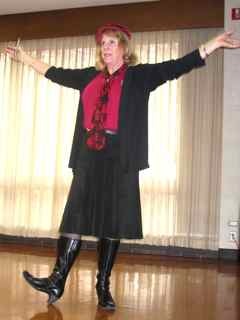 Debra Davis & Gender Education Center celebrate giving their 1,000th Presentation in May, 2007. Our Outreach Report - What the Gender Education Center accomplished, over the last few years. "On the Fear of Excellence" - From A Return to Love, by Marianne Williamson - One of Debra's favorites! 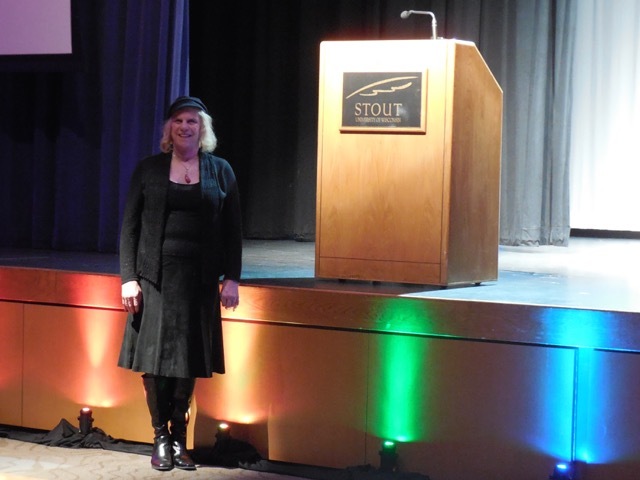 Debra has written many articles and papers, and has given hundreds of presentations and workshops about differently gendered people throughout the years. We have not included some of her earlier works because sometimes people assume that, even though they were written many years ago, they are true for her now. This is not always the case. Debra transitioned on her job as a librarian at Southwest High School, in the Minneapolis Public Schools, in May of 1998 and now lives full time in her true identity, a woman. Since that very public and highly publicized transition, there has been great deal of public debate and speculation as to how she identifies and what her body parts are. She will only say that she is in fact transgender (differently gendered) and will not go any further. She does not disclose what her current body parts are, saying that they are only important to her doctor or an intimate partner. She tells people who think they know, "Don't be too sure." Debra believes that differently gendered people are entitled to full human and civil rights regardless of their body parts. "We all have the right to free gender expression and to equal protection under the law, whether or not we alter our bodies through hormones or surgery."